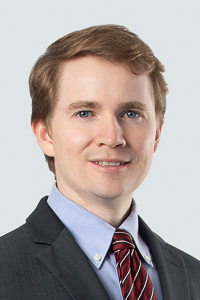 Chris Wootten is Of Counsel in the Affordable Housing and Community Development practice in the New Orleans Office. His practice focuses on commercial finance, government incentives, public private partnerships and real estate development. Chris commonly represents commercial lenders, SBA licensed Small Business Investment Companies (SBICs), Community Development Entities (CDEs), tax credit investors, non-profit corporations, business owners and developers. Chris has extensive experience closing and advising on projects involving a range of government incentives, including historic tax credits, new markets tax credits, low-income housing tax credits, Property Assessed Clean Energy (PACE) financing and HUD supported projects. Chris is a member of the American Bar Association and the Louisiana State Bar Association and serves as Chair of the Government Incentives Committee for Land Use and Planning group of the ABA’s Real Property, Trusts and Estates Section. He also serves on the Metairie Park Country Day School Alumni Board and serves on the board of Energy Wise, a New Orleans non-profit organization in the environmental sector. Author, IRS Revenue Procedure 2014-12 – A Safe Bet?, Bloomberg BNA Tax Management Real Estate Journal, Vol. 30, No.10 (October 2014). Speaker, Recent Updates to Federal Tax Credit Incentive Programs, ABA RPTE Land Use and Environmental Section quarterly webinar, May 19, 2016. Represented multiple Community Development Entities (CDEs) in deploying over $150,000,000 of federal new markets tax credit allocation in Qualified Low-Income Community Investments. Represented lender and new markets tax credit investor in financing a new campus facility for Thrive Academy in Baton Rouge, Louisiana. Represented lender and historic tax credit investor in financing the development of the Alder Hotel in New Orleans, LA. Represented New Orleans Center For Creative Arts Institutes in financing new $28,000,000 culinary campus in project utilizing historic tax credits, new markets tax credits and qualified zone academy bonds. Represented construction and bridge lenders financing over $80,000,000 of projects financing with low-income housing tax credit incentives. Represented the commercial lender financing the commercial and retail condominium portion of a $100,000,000 project to construct the Odeon Tower in New Orleans, LA. Represented developer to finance historic rehabilitation of the Lasalle Building in St. Louis, MO using historic tax credits and Property Assessed Clean Energy (PACE) financing. Represented developer to finance historic rehabilitation of the Woodmen Building in Omaha, NE using historic tax credits, state new markets tax credits and Property Assessed Clean Energy (PACE) financing. Represented investors in the formation of an “Opportunity Zone” investment fund to facilitate investments qualifying under Section 1400Z of the Internal Revenue Code. Represented foreign, non-residents in investing and managing over $60,000,000 of investments across office, hotel and retail properties. Represented various business entities and individuals in acquiring, leasing and operating real estate and business assets. Represented individual in acquisition of orthodontic practice.